Question: What constitutes a captain's job ? Answer: To run the ship in a safe and economical way. When a chief mate (onboard dredgers, that is) gets promoted to captain, he is about to make a profound change in job content. He is an operator, and will become a manager... That is a big step for anyone. When a captain arrives on his first ship, for his first assignment as a master, he can be compared with a cup of yoghurt. They both have an expiry date. The crew of his first ship will give him respect because the company assigned him as a master to that ship. This respect is short-lived, and will expire in a few months time. If -after these few months- he has not been able to instill respect with the crew -through work ethics and attitude, through professionalism- this young captain will run out of respect and loose all authority. There are many traps waiting for a newbie captain. One of the most dangerous traps is -to my own sense- the overstressing of the importance of all matters administrative. Company's headquarters will be most helpful to keep this fata morgana alive. After all: paperwork is about the only thing they see from their captains. If that seems ok, all is ok, isn' it ? So: a newbie captain has all the incentives to stay in his office, pushing paper all day, so that -at least on paper- all looks perfect. Well: it 's not and it will not be. Administration is only one side of a multi-facetted job. "Just finished the timesheets, anyway." The captain that will not hang around in the wheelhouse, that will not make regular excursions on deck, that will not hop into the chief engineer's cabin, or in the elec's workshop, is bound to loose all contact with reality and hence all his grip on events. A paperpusher-type-of-captain becomes -within time- a secretary carried onboard, and not much more than that. Wether or not he's onboard doesn't matters no more for the operation and management of the ship. ISM has brought many advantages to shipping (albeit, to many people's disbelief, ships keep on sinking !). But on the downside is the relentless paper chase. 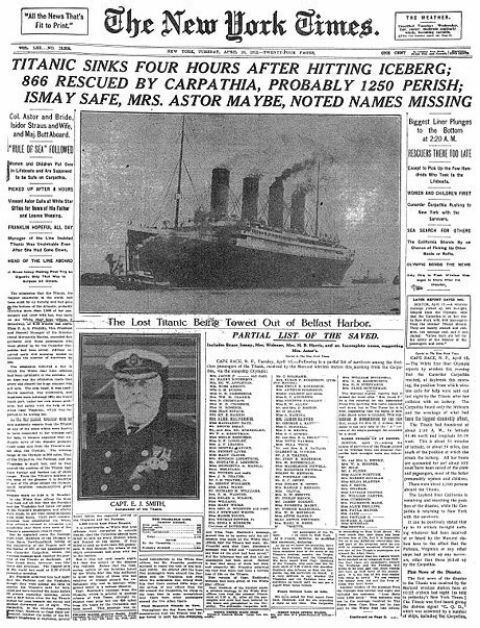 Things have been brought to such a climax nowadays that time required for administration conflicts with a captain's core business (to operate the ship safe and economically, remember ?). The young captain may become a micromanager, telling a steward how to clean a cupboard, telling a mate how to ste his radar, and completely loosong control on all important issues meanwhile. Another mistake you can make: you may sit down in your cabin on your first day as a captain on your first ship, and may think; "I have made it ! ! !". These characters tend to become a cartoon of their own, often at the expense of their authority towards the crew. Bad luck: you haven't made it at all, you're only a captain on paper. The next step should be to become an experienced captain, and good at your job. And it's a long road to walk. Basically; you will never arrive. All tasks need to be balanced; clearly a ship cannot be managed without a paper trail. Crew will mirror themselves to the attitude of the captain. If the captain radiates that any standard will do, that any behaviour is accepted, the crew will -very soon- mimic him into that sub-standard behaviour. Best captain in the world probably, next morning on the frontpages; the face of a disaster. He'd better said "no" in the first place. 5.2 (...) The Company should establish in the safety management system that the master has the overriding authority and the responsibility to make decisions with respect to safety and pollution prevention and to request the Company's assistance as may be necessary. This resolution is partly meant to protect shipping companies from their over-energetic zeal, not bothered by in-depth knowledge of nautical matters. (That's a personal thought.). The captain may point out to them why some acts are impossible or too risky. The master can take his own decisions concerning safety of ship, crew and environment. He does not needs to wait for his company to take decisions in his place, nor does he need to follow them in their every request. More explicitly: he can say "no" to his company when he -using his professional judgment and experience, and always thinking about his duty to run the ship safe and econimcally- deems the risk to high to take. But he will do wise to explain his "no" in full to the company. Empowerement of young captains is a real problem; nowadays captains get their first ship in their late twenties, early thirties. This cannot be the age on which he already gathered full experience. He will be prone to pressure from his company, allowing risks to be taken and corners to be cut. All things going wrong on a ship is the master's responsibility. Not only legally: whenever something goes wrong, the master is -somehow- responsible or involved. Maybe he is responsible by acting, and more probably by not acting, remaining passive in the knowledge that something may be foul. 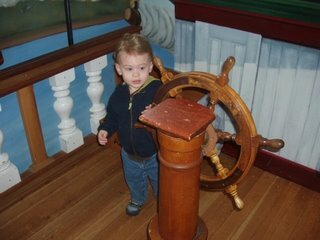 A chief mate runs the ship aground, but the captain may be to blame,if he wrongly evaluated the abilities of the chief mate. A deckhand falls down a ladder, but the captain may be to blame because he puts to much workload on the poor fellow. Fair ? Nobody told you it was going to be fair job. The final responsibility is there to keep you sharp. Because you will be to blame, anyhow, somehow. It seems a high hurdle to take, to say "no" to your employer. But (from my own experience) I can say that a shipping company will respect you for this, in the long term. Higher management is counting beans, and they know first-hand what's the financial consequence of a serious accident. They really do. There is a real need here for empowerement of young captains, coupled with the ongoing need to professionalise further. Not too many industries allow a manager, thirty years young, even younger, to run a complete plant worth 500 million Euro. 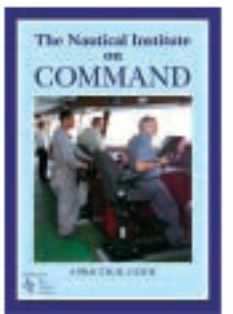 Careers at sea have shortened considerably; and at thirty years, after the first command, on average, officers start to look around for a shore job. This does not help building up a high level of experience onboard, and pass it on to the next generations. Experience before was a personal thing, gained through many years at sea. These days careers are shorter, experience should -necessarily- be a broad community thing, shared between professionals, to obtain the high level of experience, required to do the job. Consider Murphy's Law; "If sometime can go wrong, it will go wrong." Murphy's Law is a law of nature, you cannot simply trust your luck to evade Murphy. You will have a fulltime occupation to keep the little bugger of your back. 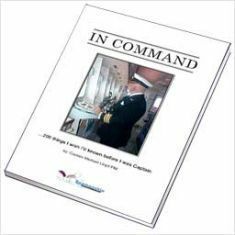 "In command; 200 things I wish i'd known before I was captain" by captain M. Lloyd. Very British, but Lloyd touches upon real problems, dillemma's and compromises to be expected when you become a captain. contains 60 articles related to the subject, but from a very uneven level. Worth reading anyway, as it opens up the complete universe of responsibilities of a master. Remember: it's only a job.